Ghost spends most of his time working nights on full time job and when he shows up at an Angel patrol or event after getting off of work and then has to go back to work when the night comes and the event is over shows the dedication, support and sacrifice he is willing to make for his team. Ghost always makes us proud and we do appreciate his service and time. 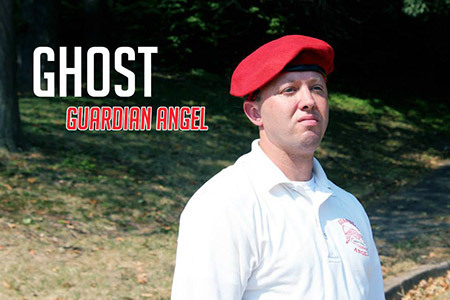 Ghost is trained in Martial Arts and works as security in a local hospital, no matter what public safety is something that always surrounds the Ghost. Ghost lives in Essex MD.